The man accused of plotting a shooting attack at a Milwaukee Masonic center in Milwaukee in the name of Islam claimed the fraternal organization is “playing the world like a game,” according to federal authorities reached by ABC News. 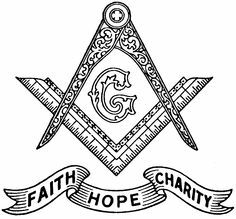 “We can hardly plan a pancake breakfast,” said Gavin DeGrave, who is a secretary for the Valley of Milwaukee, which includes four Masonic chapters. Samy Mohamed Hamzeh, 23 was recently charged with possessing a machine gun and improperly firearms as part of an alleged plot to shoot hundreds of people at the Masonic temple. Hamzeh insisted the charges were “not true” during a court appearance on Tuesday. Posted: 1/28/16 at 8:58 AM under News Story.